Our 50 x 100 field turf arena is a memorable cricket experience and was developed for adults and children of all ages. Coaches can perform all types of cricket training activities. 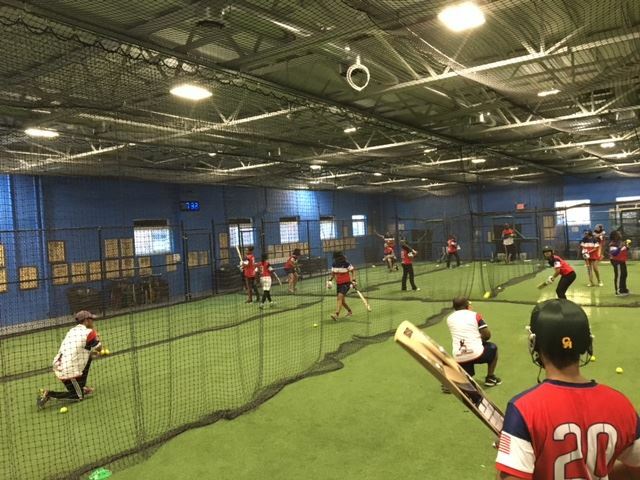 Please call (516) 481-2255 or email for details on securing your team's time slot for the upcoming winter season. Storm Sports Academy hosted the 2 day International Cricket Council tryouts for the American Team to compete in the World Cup in 2018. Hundreds were in attendance here in hopes of being selected to play for the USA team. We had to use the street to accommodate everyone!! Storm currently has nearly 250 cricket teams that use the facility to train!